Calendar Mobile Web App – The links below are mobile friendly formats of our complete calendar for each facility. Take a look! Easily access either the Meadowmont or NW Cary calendar when you are on the go. There is nothing to download. 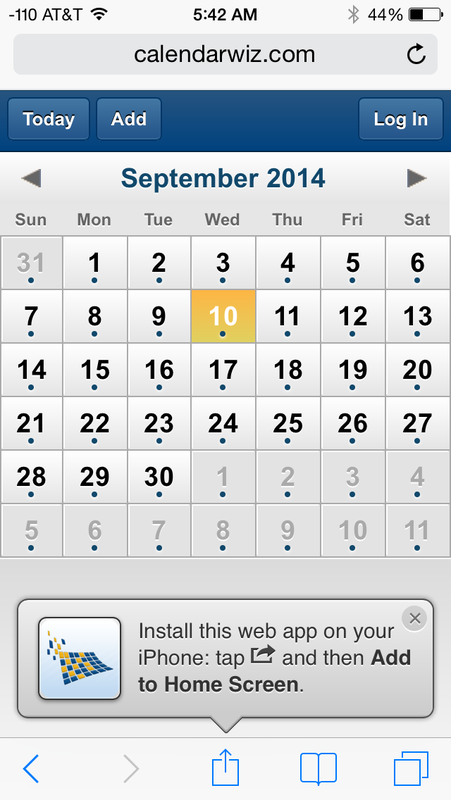 Simply click on the appropriate calendar link to access the mobile friendly version. For easy access from your phone to the calendar mobile app in the future, add the link to your mobile device’s home screen. Days with a dot beneath the number have events and may viewed with a simple touch. 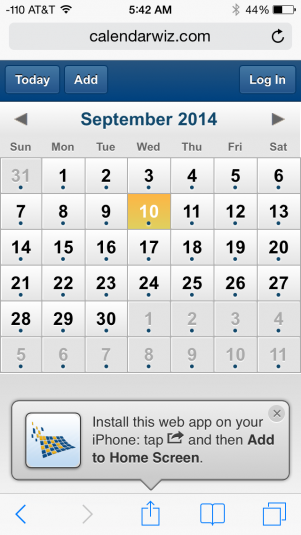 Swipe Control and Navigation arrows allow you to go from month to month. Click “Today” to return to the current month. Day view: click on an event to view the event details and description. Use the “Done” button to return to month view. Click on one of the mobile calendar links above. Tap the send button at the bottom of the screen. Rename the Web App if you wish and click Add. The button will then appear on your device’s home screen for easy access.